The greatest stories ever written all begin with Chapter One! Each episode, our guest authors will share their first chapters with you. 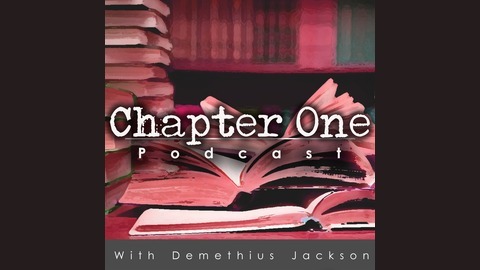 Ch1 Podcast is one of the best podcasts to discovery new books to read, along with tips and tricks to better learn how to be a writer. Our featured authors have written indie and best selling books, which can be found in traditional book stores, Amazon, Createspace, Goodreads, even Smashwords, Lulu, and Wattpad. 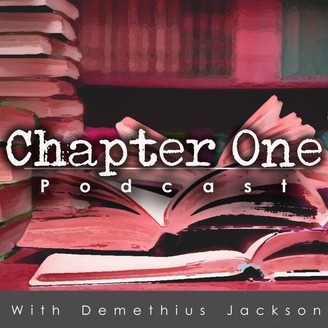 In addition to books, we also discuss grammar, writing tips, and the independent and traditional publishing industry on the Ch1Podcast. PLEASE HELP US TO GROW! Our audience grows stronger everyday because of great listeners like you! Please continue to help us spread the word by subscribing in iTunes and writing us a review. Oh! and tell your friends about the show. Our website is ch1podcast.com. To learn more about Demethius Jackson, check out www.realmsic.com | www.demethius.com. On today’s episode, we welcome back to the show, Mark Stevens who shares the 5th book in his Allison Coil series entitled, the Melancholy Howl. This book is perfect for readers who love strong female protagonists and mysteries that take place in the rugged terrains of Colorado. Circling vultures lead hunting outfitter Allison Coil to an angry man tied to a tree. The man will answer none of Allison’s obvious questions. Devo, a frequent ally of Allison’s and the leader of a group of scrappy devolutionists, has gone missing. Allison’s best friend, Trudy Heath, finds herself intrigued by the overtures of a retired rock star who has put down roots to grow tomatoes. And Trudy’s boyfriend, newspaper reporter Duncan Bloom, is tempted by an opportunity to resolve his bleak finances by taking a flyer on Colorado’s fastest growing industry, retail marijuana. Allison’s trail across The Flat Tops Wilderness leads to an airplane wreck, a murder, and a cunning conspiracy. The Melancholy Howl braids interweaving threads of mystery as Allison, Trudy, Duncan, and Devo’s followers test the definition of family and the dangerous boundaries of trust. The post Ep59 – The Melancholy Howl – Mark Stevens appeared first on Chapter One Podcast.